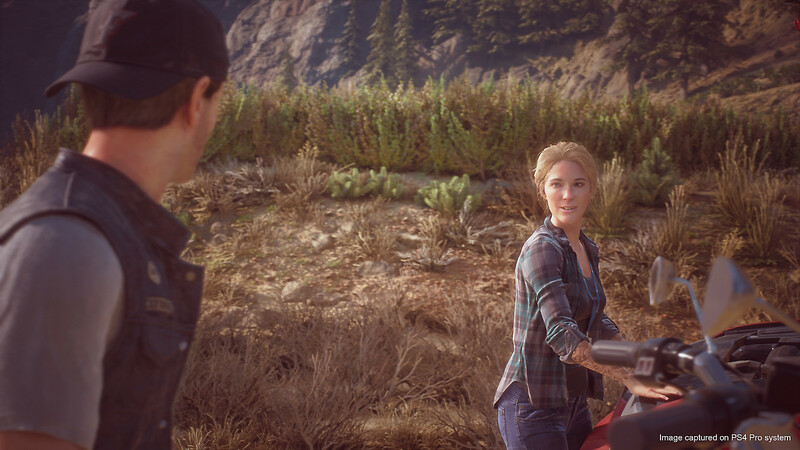 We recently reported that PlayStation Spain has been teasing something by sending out wedding invitations for Days Gone characters, Sarah and Deacon. The game’s official website has now been updated with new screenshots as well as a section to enter RSVP codes that are included in the invites being sent out. Deacon St. John and Sarah Whitaker were an unlikely couple: He was from rural Oregon, a member of an outlaw motorcycle club; she was from Seattle, a botanist with a degree in biochemistry. But from the moment they met, on the back roads of Farewell Oregon, they were inseparable. Now they’re ready to ride off into the sunset and face the next chapter of life together as man and wife. Follow them along the way. It looks like PlayStation has something in store for Valentine’s Day. We’ll find out in due course what the RSVP codes will lead to, and keep our readers posted. Following a delay, Bend Studio’s Days Gone is set for release on April 26, 2019 on the PlayStation 4. The game, which we’re quite excited about, will come with two special editions that are available for preorder now. The Digital Deluxe Edition, available via the PlayStation Store, will come with three drifter bike skins, digital art book, and soundtrack among other items. For those who prefer physical goodies, Days Gone‘s Collector’s Edition will come with a statue, pins, decals, art book, physical soundtrack, and more. For more on Day’s Gone, check out our previous coverage.